In a recent article on NLPCoaching.com, Adriana mentioned the idea that our thinking, our ideas, our opinions are pretty much programmed by friends, family and the media. Ask a dozen people what they think about a current news event and you will find a commonality in their answers, which they would swear are their own, but which are in reality pre-programmed by specific ideas. In this article I would like to expand on this idea. First a story. 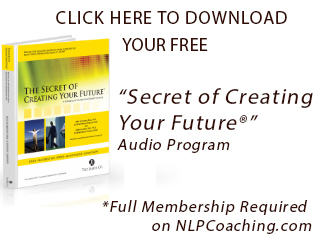 Last week I was talking to a friend who I had trained in NLP. He had trained with me all the way to the NLP Trainer’s Training. He had made some observations that he wanted to share. For many years he worked in Japan for Fuji film as a manager. When he was in Japan working at Fuji film he observed that there were 2 classes of workers. The lower class whose job it was to be very specific and detailed. They were forbidden by culture to think more abstractly. There was also the upper class who could by culture think of the bigger picture. They could think more abstractly. They were “permitted” to think abstractly. So, I thought about that and realized things are pretty much the same here the English speaking countries. When you look at the Myers Briggs Type Indicator, roughly 75% of people are Sensors, meaning that their preferred mode of thinking is to think specifically and with details. That means that only 25% of people have as their preferred mode of thinking, abstraction. The Myers Briggs calls them Intuitors. I would agree that they are not forbidden by rules, just by society. When I started doing Business Consulting I was often accused by business clients of being flaky. Too abstract. So there was a culture here, where specificity was prized and ambiguity or abstraction was repudiated, avoided and frowned upon. Whereas in the west we are not as constrained by rules as in Japan, we are just as controlled in our thinking by consent, and consensus. “We cannot think what we cannot think; so what we cannot think we cannot say either.” If your thinking is controlled by anything outside you, you are not free to think. Don was thinking of painting and remodeling his apartment and he asked our advice. So we asked a simple question, “For what purpose?” He looked surprised and said, “Well there are many parts of the apartment that need to be repainted.” Here is where it got fun. We said, “For what purpose?” “I don’t know, he said. “For what purpose?” we asked again. This time he got angry because he couldn’t think there. His thinking was limited by his inability to chunk up. To learn to chunk up to see the interrelated parts forming a whole, ask yourself the question, “What is this an example of?” in our diagram we see that Cars are an example of Transportation. Transportation is more abstract than Cars. To learn to chunk down to get greater details, ask yourself the question, “What are examples of this?” in our diagram we see that we could choose “BMW” or “Wheels”. Each is more specific than Cars. Simple and if you practice it, result producing. It will change your thinking. “We cannot think what we cannot think; so what we cannot think we cannot say either.” If your thinking is not controlled by anything outside you, you are free to think. Hmmm. What do you think about that? There is more to say about this subject (see the next article in this series, Who’s in Charge of Your Thinking? Part 2), and I assure you we do say it at the NLP Coaching Practitioner Training and the NLP Coaching Master Practitioner Training. Join us. Tad James, M.S., Ph.D. is a Certified Master Trainer of Neuro Linguistic Programming, Master Trainer of Time Line Therapy®, Master Trainer of Hypnosis and Trainer of NLPCoaching. 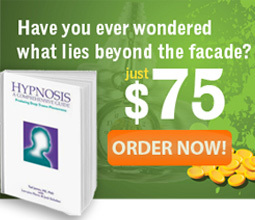 Tad is the creator of a revolutionary new paradigm for human change known as the Time Line Therapy® techniques. He is the author of 7 books and numerous audios and videos in the field of NLP, including the Best Seller “The Secret of Creating Your Future®”. Tad James was the first NLP trainer to do a Learn NLP Training in an accelerated format.